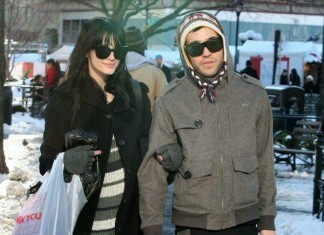 Celebrity papa, Pete Wentz and his new girlfriend Meagan Camper were spotted in Studio City yesterday. 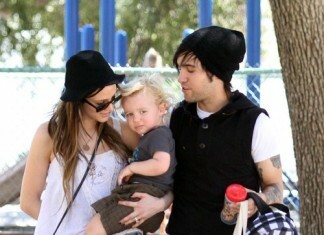 Pete wore a pair of Diesel Jeans for lunch with the model and his son Bronx Mowgli. Ashlee Simpson was snapped wearing a pair of vintage Levi's flares as she enjoyed some quality time in the park with unfortunately named son Bronx Mowgli and hubby Pete Wentz. 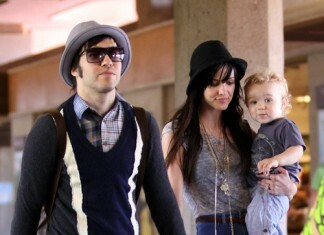 Melrose Place star, Ashlee Simpson wears Genetic Denim Shane Recessive Cigarette Jean in Ripper while out and about with her husband Pete Wentz and son, Bronx, in Beverly Hills.